Waste clearance within Finsbury does not have to be as hectic as you think. 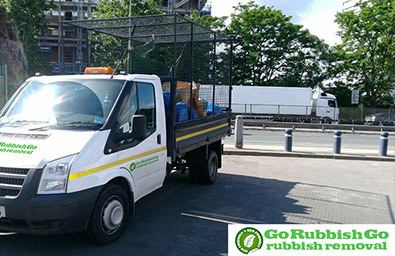 In fact, as long as you hire Go Rubbish Go, you can experience a completely hassle-free rubbish clearance in Finsbury, EC1. When you hire us, you will receive the best service you could ever ask for and you are guaranteed to be impressed with the amazing results and fast work. We always provide our clients with quality services and whether you are a new customer or an old one, we treat each and every client like royalty. So call us now for a free estimate and treat yourself to our expert services. It’s the wisest decision you can make! You will certainly get a great deal if you hire us for Finsbury waste clearance. So if you know what is good for you, you ought to try our service out today for top-quality rubbish disposal EC1 at the best prices. You will not have to worry about a thing. Hire us now and we promise you great deals with huge savings. The thing is that you mustn’t get fooled into thinking that just because a company offers cheap services, you will get great service in return. The quality of service is usually terrible at the expense of the low costs. However, with us you don’t have to worry about that. You get more for your money than with any other company out there! So if you would like some help, get in touch today on 020 8610 9182 and treat yourself to a clutter-free home! We Are Something Many EC1 Waste Collection Companies Are Not – Eco-Friendly! Not many rubbish removal companies out there are eco-friendly in their proceedings, which is a really sad thing. With the state of our planet, more of us should be taking care of the environment. And the easiest way to do that is by changing your actions. So, for instance, instead of dumping things you no longer want or need, recycle them. We recycle absolutely everything that can be recycled. When you use our waste disposal Finsbury, you will be happy to know that we recycle whatever we can, so nothing goes to waste. It really does cost nothing to help the planet. In fact, most of the time you actually save money from being planet friendly. So start thinking about the planet today. You can make a real difference if you stop throwing things away and start recycling. Whether you have just had a bathroom replacement or a general clear out, you probably have loads of things that could be put to good use. Recycle the remaining waste! Call 020 8610 9182 now and we will do the job for you! 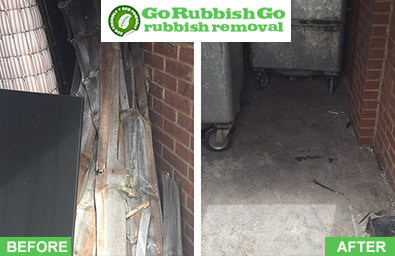 Go Rubbish Go is the best waste removal company in Finsbury, EC1 I’ve hired so far! They paid attention to detail and did the job on time! There was nothing to worry about! I’m very grateful to their amazing team! It does not matter at all how much rubbish you have. All that matters is that you reach out to us. Don’t be afraid to ask for our professional help in EC1 waste removal. That is, after all, what we are here for: to help you. 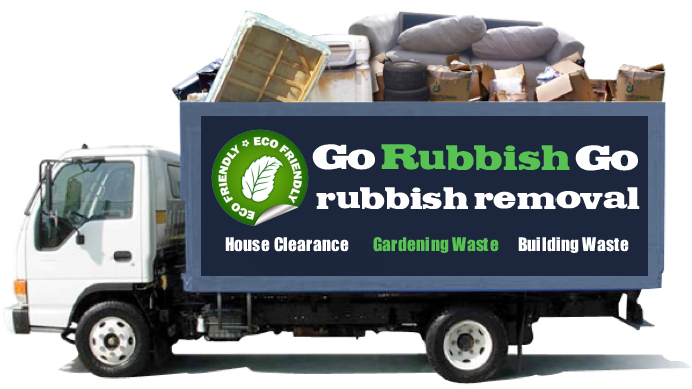 So if you need Finsbury rubbish removal services, turn to Go Rubbish Go and we promise we won’t let you down. We’ll size up the amount of rubbish we will be moving for you and we will even provide you with a free quote after estimating the size of the job. Our rubbish clearance service is indeed fantastic and you are bound to be over the moon with the results. You will also get a free gift and a great discount if you hire us now! Book now on 020 8610 9182! Every business has a waste collection in Finsbury contract of some sort, whether it’s with the council or a third party contractor. 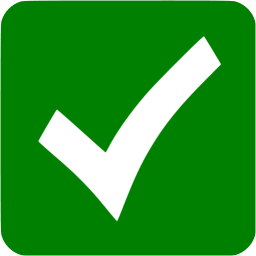 However, how can you be sure that your waste is being treated in a safe and secure manner? Our firm prides itself on offering tailored and reliable services to businesses throughout the EC1 area, guaranteeing the secure disposal of all confidential business waste. So if you have private correspondence or secret dossiers which have to be treated with care, make sure you use the best firm in the local area! Our workers are fully-trained experts who will make sure that all of your waste is disposed of in the correct and proper manner. 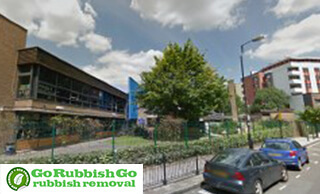 We even offer great general rubbish removal solutions to all businesses in Finsbury, EC1. Finsbury is an area in Central London which is located in the London Borough of Islington. Its postcode districts include EC1 and WC1. One of the most notable buildings in the area is the Finsbury Town Hall. Another significant building in the district used to be the Finsbury Health Centre which has been listed for its importance for the modernist architectural movement. Other places of interest include Exmouth Market, Finsbury Estate, the Sadler’s Wells Theatre and Islington Museum. Nowadays this building needs a serious restoration in order to be used again. In 1965 the Metropolitan Borough of Finsbury was merged into Islington. The closest tube stations are Barbican tube station and Angel tube station.